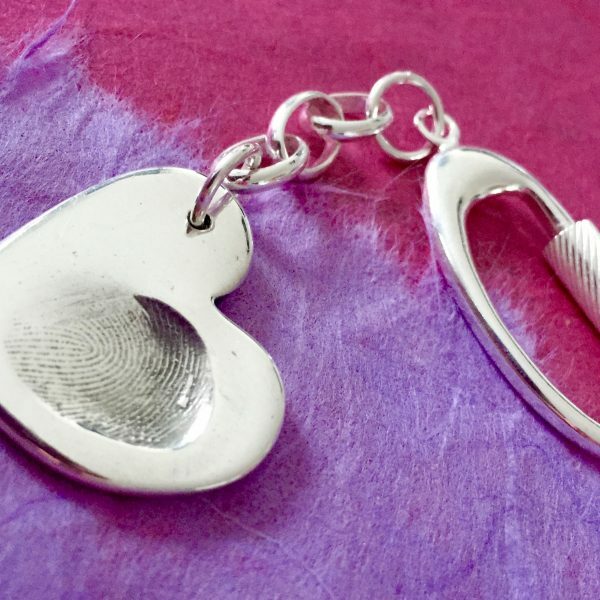 Handmade and polished from 99% fine silver, beautiful keyring keepsake capturing your loved one’s unique fingerprint. 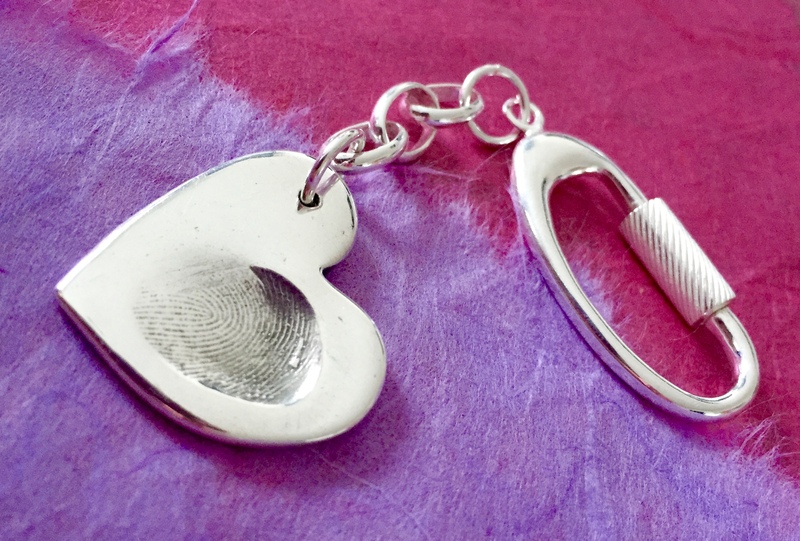 Beautifully handcrafted 99% Fine silver fingerprint keyring featuring your loved ones prints and sterling silver oval keyring, making it a perfect keepsake. Each charm can be personalised to feature a name or special date on the front or back of the charm. 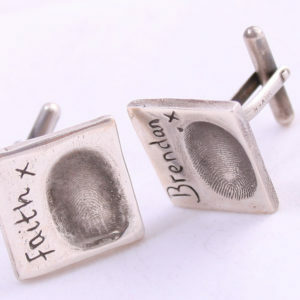 Additional fingerprints and names can be added at a cost of £5 each. 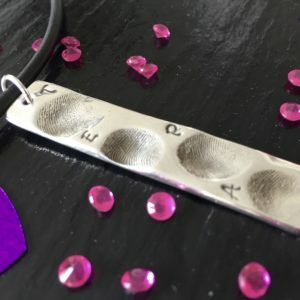 After purchasing a fingerprint charm you will receive the magic putty fingerprint kit (unless we have your prints on file) to take your prints and an order form. 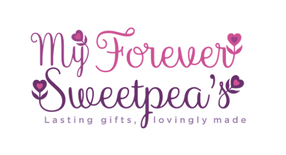 On the order from you can add details about the personalisation you wish to be on your charm.